In October 2006, commercial beekeepers began reporting high colony losses with loss rates as high as 30 to 90 percent. While some bee loss is common every year, numbers in this range were more significant than normal winter die off, which was typically in the range of 15 to 25 percent of hives. Although this isn’t the first time beekeepers have dealt with unexplained and significant losses (reports of honey bee disappearances were also reported in the 1880s, 1920s and 1960s), Colony Collapse Disorder (CCD) has been viewed as a new and pressing issue affecting managed hives in the United States. The high colony losses experienced by commercial beekeepers have reduced the hives available for crop pollination and have raised concerns about our food supply. According to the United States Department of Agriculture (USDA), the main symptom of CCD is very low or no adult honey bees present in a hive but with a live queen and no dead honey bee bodies present. Often there is still honey in the hive, and immature bees (brood) present. Varroa mites, a virus-transmitting parasite of honey bees, have frequently been found in hives hit by CCD. 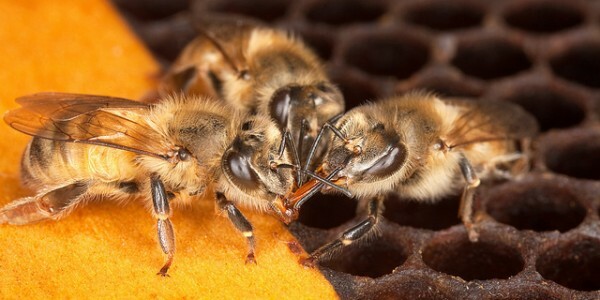 Most scientists agree that declining bee health is an extremely complex problem, resulting from multiple factors and that more research is needed to help assess different stressors and to develop better management tools, particularly those that will address the varroa mite problem. The bottom line is that we need good, sound science to better understand how to best support pollinators.